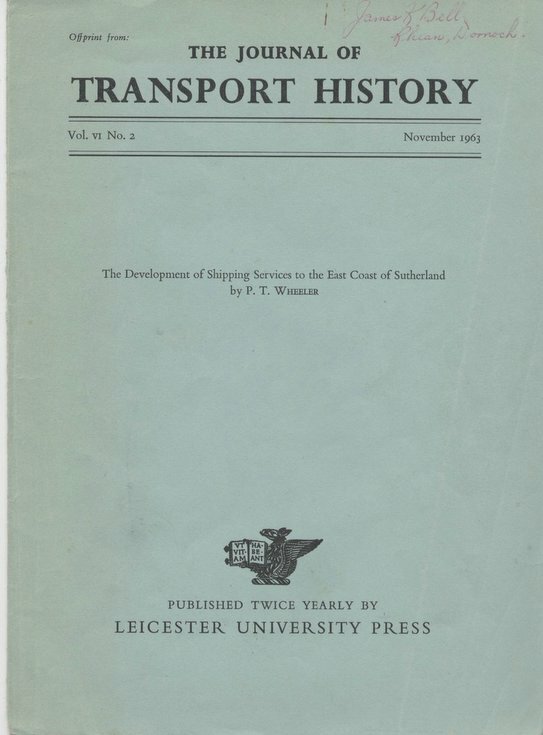 Reprint entitled "The Development of Shipping Services to the East Coast of Sutherland" by P.T. Wheeler, from the Journal of Transport History, vol. 6, No. 2, published by Leicester University Press; pp. 110-117; in blue cover.